In an era of extreme housing precariousness, a new book looks at the history of a radical alternative. There are all sorts of ways the Trump administration may exacerbate the affordable housing crisis in U.S. cities. Already, he’s brought on as secretary of the U.S. Department of Housing and Urban Development the distinctly unqualified Ben Carson, who appears ready and willing to slash funding for affordable housing, which could prove disastrous for some struggling to make rent. President Trump himself has begun to take apart federal financial reforms aimed at preventing the housing crisis that drove the country into recession—and all but rooted for that very collapse. On homelessness, he’s kept mum. 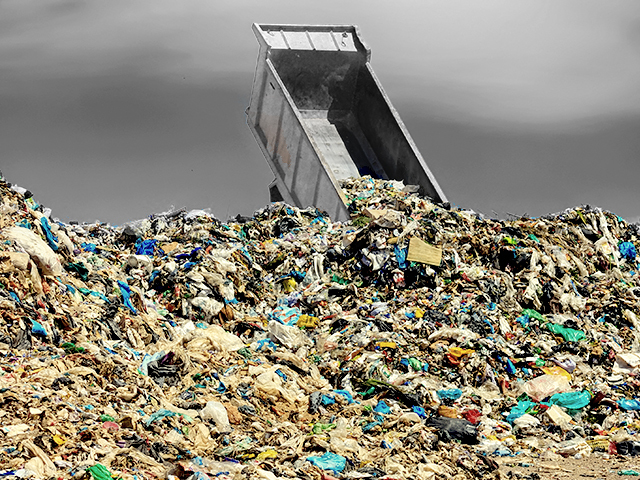 What does “waste” really mean when it comes to housing? In the case of squatters, the very act of occupying points less to a need to generate profit than a desire to use space in more equitable and socially just ways. The very idea of “waste” is a source of experimentation and endurance, survival and subversion. A very basic, if potent, act of reclamation is, after all, at the heart of what they do, whether it is repurposing found materials or skipping food. It strikes me that squatters are often able to reanimate wasted urban spaces and shape them in ways that point to a rather different understanding of what cities are and how we might live in them. I think we can still learn a lot in this respect and in terms of how we house ourselves. In the book, you identify three themes that tie together your stories and examples: squatting as housing practice, squatting as social movement, squatting as form of identity. Can you talk about these paradigms and how they intersect? I was trying to find a way of gathering together different singular histories of places, and these were the things that seem to cut across place. I had to talk about producing autonomy through the idea of dwelling and housing. One point of reference was John Turner’s work in Latin America in the 1970s, around autonomous housing projects in Peru, and the trafficking of those ideas back to other places in Europe and North America. What was circulating, in that era especially, was a commitment to self-built and self-governing housing. Emerging out of this, I found people who talked about these practices shared a set of contentions, often connected to social movements positioned in opposition to the state, and to capitalism, that ebbed and flowed over time. And then there are multiple different identities that form around this concept of autonomy, the ways that people see and practice squatting as a way of moving beyond predeterminations that shape their lives. The spaces that they produced provided a platform for personal exploration. What do squatted spaces look and feel like? It’s a wide range that really comes down to the legal or illegal, formal or informal divide. In some places, a state of disrepair was the norm. Electricity or water weren’t always working. Other squatters learn on the hoof to remake the spaces they live in, and some have really creative strategies: There’s one image in the book where they’re using old milk cartons to make insulation in a squat in the Lower East Side. Some squats are were really well organized and had a degree of legitimacy in the context of neighborhood housing struggles. A few spaces in Germany that I spent time in, like those that have been legalized, had community services, a kindergarten, a canteen that served everyone. Meanwhile, other squats were like islands in a sea of urban renewal. They existed with the threat of eviction right around the corner, and people were living in fear. Going into any number of these spaces, I did always feel like an outsider, because I could always go home to somewhere else. That possibility was not something squatters could necessarily reassure themselves of. How do you study a phenomenon that is, seemingly, temporary in nature? Did you grasp a sense of proportionality in terms of what drives people to squat? Is it more necessity or politics? It’s quite interesting, because in one sense many of these spaces are ephemeral. But squatters themselves are very keen archivists of the things they do, maybe out of awareness of that temporariness. So there are archives, which may be magazines, letters, press releases, pamphlets, photographs, and films produced by the squatter. It’s all part of the story they’re creating, of occupying the city in different ways. On the other hand, deprivation-based squatting tends to be invisible for all the obvious reasons. When squatting is an absolute necessity, people don’t have time to think about recording those practices. You also have squatter spaces where some people crash for a night and leave, while other people are there for longer, and get more wired into political practices. So it’s hard to get a sense of proportionality. But that absence of evidence about deprivation-based squatting says something as well. It can be the most basic, necessary form of occupying a place, and yet we only find out when an abandoned house catches fire and the fire department finds out there were people living there. Your book shows that there was some broad-based support for squatting, especially in Europe, during squatting’s heyday in the 1970s. Nowadays, it’s not something that many urban progressives would necessarily endorse; it seems like a very radical act. What happened? Compared to now, the texture of support was quite significant, in some cities in particular. Surveys from the 1970s, in Milan, showed that there was really wide support for occupation. There is a slogan used by one squat from the 1970s, in a neighborhood in Copenhagen: “Our neighbors are the best barricade.” There was a real sense that activism would only be successful if they fostered connections within wider communities; that they would need that help in face of the government’s political maneuvers and legal crackdowns attempting to push them out. You do have to set them against media campaigns designed to impugn them. But in some places the scale was really impressive. One of the fault lines, where you see that support [start to] drop off, is when housing activism tips into violence in response to police brutality and eviction. Then you see some people skeptical of the use of force by housing activists in response to the state. What about the emergence of “urban homesteading” in places like Detroit? Have other trends influenced mainstream perceptions of squatting? Definitely; I think this is about the lifecycle of social movements. From the 1990s onward, there’s a sense that the powers of urban regeneration have, in some ways, captured the energies of alternative housing practices, and now they’re making something that can be sold or packaged in the way that cities can brand themselves. So now we think about occupying [empty housing] as incredibly radical, but the flip side is that, in some ways, it’s become incredibly ordinary: You have community gardening, and DIY renovations, and temporary pop-up spaces. The radical edge seems at a distance, but it’s still part of this whole wave of gentrification. What does that mean for people who are actually still squatting? We are now living in an era where the impulse towards squatting is criminalization. In the U.K., the Netherlands, France, Denmark, Germany, and the U.S., the practice is becoming more and more criminalized through new laws, while meanwhile, in many places, the housing crisis is becoming really acute. People are facing immense affordability challenges now, and squatting opens up a space of possibility. It is clearly a precarious process. But it doesn’t stop people from doing it, because the scale of necessity creates demand, and people need to find ways to house themselves. My concern is that in the current climate, particularly in the U.S., everything is criminalized, so crackdowns might be more severe and law enforcement could be given carte blanche as never before. It’d be interesting if a new squatting movement emerges out of this, a moment where things feel immensely insecure. What lessons does squatting have to teach folks working on housing issues today? The interesting thing is that, in European cities during the 1970s and ‘80s, lessons were being drawn by architects, planners, and policy makers. City governments were listening and legalizing the practice in some cases. In Milan, you had squatters invited to take courses in architectural departments. In Berlin, an architects collective visited these old-age pensioners who’d squatted in a community center; they wanted to design a space based on their wishes and desires. It’s interesting how that exchange has been lost. My architectural colleagues moan that we’ve lost the impulse to do exciting projects around shared housing; now it’s mostly about statement pieces in particular cities, or branded projects. I think one lesson is to return to that ethos, because that would open up space where [alternative housing advocates] are helping to set the agenda. You’re seeing some of this with various co-housing projects—especially multigenerational experiments. They tap into a certain millennial branding ethos, but often these spaces do bring people in contact that wouldn’t [happen] otherwise. It would be interesting to see local government policy come back to this space, too. It might be hard to do; budgets are strained. But that was true, too, in the 1970s, when austerity was happening. I think there is a new generation where these questions are re-emerging. The urgency is there because so many people—including refugees—are precariously housed, and we need alternatives. I hope we can still look forward to some.